Valletta 2018 Chairman Jason Micallef and Executive Director Karsten Xuereb addressed a press conference about a progress report by the European Commission's Monitoring and Advisory Panel. The Valletta 2018 Foundation published a report issued by the European Commission’s Monitoring and Advisory Panel showing progress of implementation of the Valletta 2018 European Capital of Culture programme. 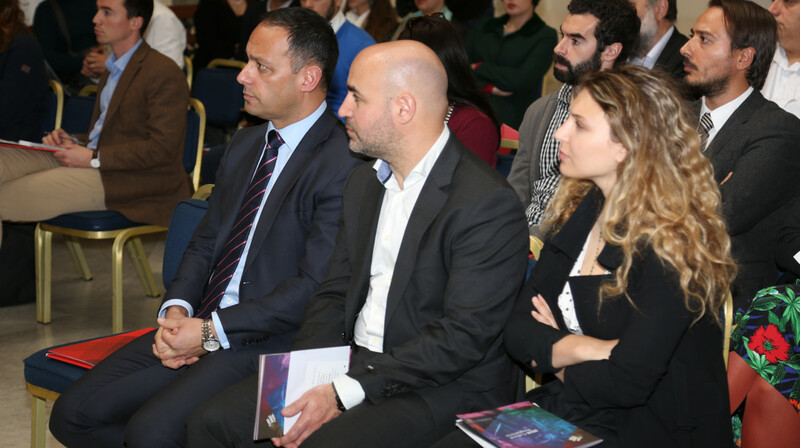 The report was drawn up following a visit by two members of the panel to Valletta from the 25th to the 27th January 2016, during which they had the opportunity to meet with the implementation team and discuss at length the status of the project, give advice from experience and learn more about the programme. The panel members visited several infrastructure projects and had the occasion to exchange ideas with the local and national decision makers. Addressing a press conference during which the report was made public, Valletta 2018 Foundation Chairman Jason Micallef said “The Monitoring Panel has issued a clear statement that Valletta 2018 is on track. The Foundation is following the panel’s recommendations while advancing in its preparations”. “Hosting a year-long programme of events is a unique experience for Valletta, its residents and the rest of the island and I invite everyone to participate,” Mr Micallef added. Valletta 2018 Executive Director Karsten Xuereb said: “The Valletta 2018 team is growing with several individuals, including Regional Coordinators, working to engage with local residents and involve them in the Valletta 2018 programme. This is leaving its mark on a local and international level. Collaboration with Leewarden and the EU-Japan fest is being intensified, as is the exchange of artists in the Euro-Med including Arab countries”. The Panel members were impressed by the regeneration projects and the infrastructure projects visited: “The projects on creative industries (film and fashion salon, design cluster) are promising and can further position the city and the country in these fields and in a European perspective,” the noted. Positive remarks and recommendations were also made regarding the dialogue with Arts Council Malta, the clear governance structure and political backing, the management team’s strong commitment, the flagship projects under the responsibility of the Artistic Director and efforts to make the project a success and the role of the International Artistic Advisor. Recommendations included establishing regular dialogue with the local cultural stakeholders and the general public while keeping up the momentum in preparations, involving local residents as much as possible in the development of the creative quarter, ensuring sustainability and improving reporting to the panel. While highlighting the “clear progress” concerning the programme definition, the panel noted the need to assess the feasibility of projects which are still in research phase. The Foundation will be sending a complete overview of the projects in the bidbook, their status of implementation and budget, by the end of July 2016 as well as a short update of the progress in implementation of the ECOC project and the recommendations of the Panel by the end of September 2016.